Once you’re greeted by your guide at the Málaga airport, you’ll be transported to Granada, 1.5 hours away. 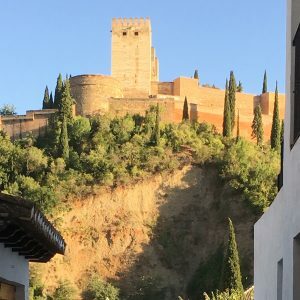 Upon arriving at your 4-star accommodations, you’ll have enough time to languish a bit in the evening shadows of the Alhambra before dinner at a restaurant that celebrates Granada’s agricultural bounty. After breakfast the following day you’ll get properly set up with bikes and set off on an excursion backward into history to see remnants of the region’s past rulers and some of the reasons why the territory was worth fighting for. This leisurely ride invites you to engage in the artifacts and anecdotes that prop up the Alhambra’s storied past by using the bike as the vehicle to transport you there. We’ll return to the hotel for lunch and the traditional Spanish siesta, or you’re free to go explore on your own, the afternoon is yours! Dinner is a curated food tour with Granada Food Sherpas. Today’s activities present another blend of culture, personal improvement, and take home value that starts immediately after breakfast with a 1-hour gym session to learn how to train the correct way. 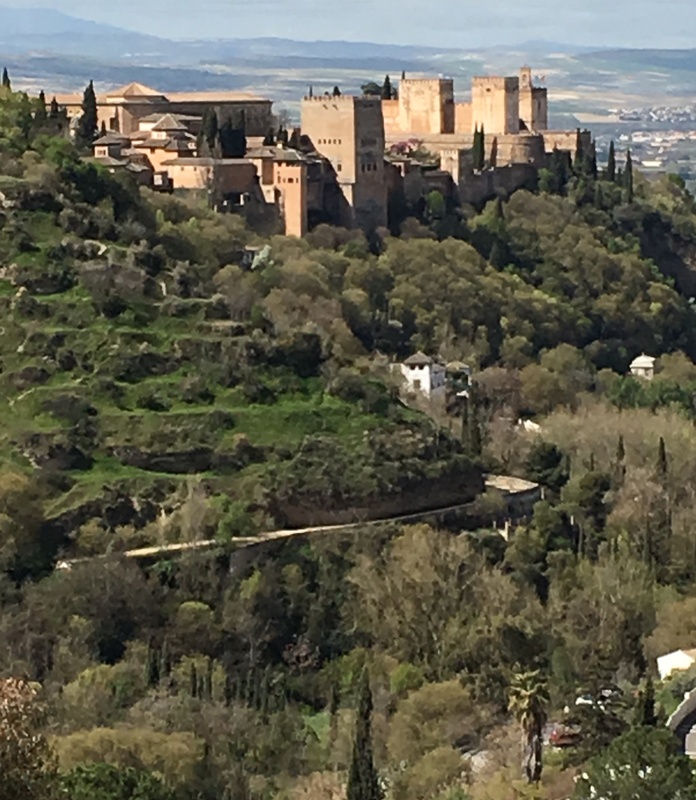 Following that you are free to wander about the city center and grab lunch on your own to power up for an afternoon visit to the Alhambra palace. 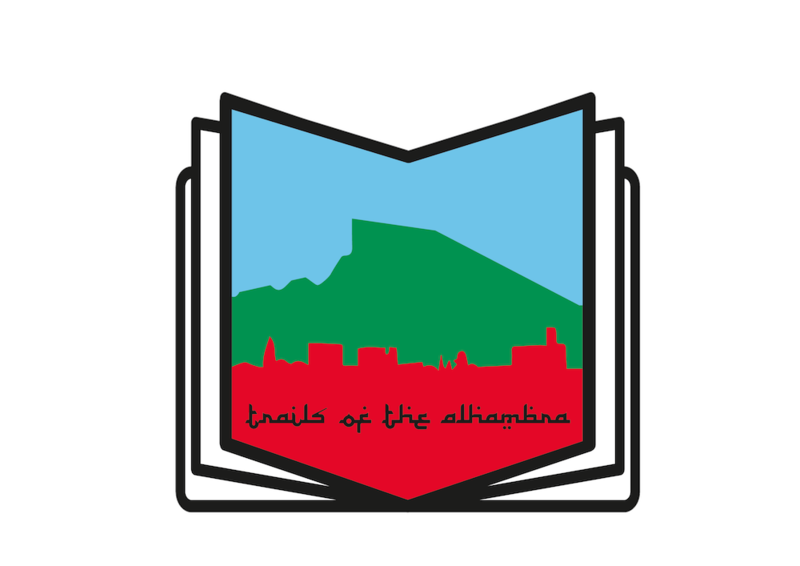 To extend your “tale of the Alhambra,” dinner will be at an authentic “carmen” featuring the distinct tastes of the Albaizin. Day 4 gets going early to allow us ample time to enjoy the day’s ride. 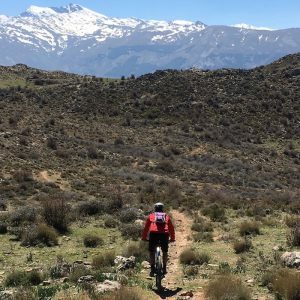 After an early morning start from Granada, our tires will turn upward to sustain a climb lasting 43 km from the city center to the peak of Veleta. Depending on ride choice (road or mtb), we have several options available to us. Those include steeper options for both road and off-road, and shorter options for those who’d prefer a little less suffering. Support vehicle will travel the main road and stop at various meeting points to supply food and drinks. The last 14 km to the peak has no vehicle access so riding this final stretch will be unsupported. This ride can last up to eight hours with stops to refuel and rehydrate. Riders can either descend on their own or catch a ride down with the support vehicle. Dinner will be at the hotel so that you don’t have to travel too far to rest your weary muscles. The final full day will build upon the previous day’s efforts with an active recovery session followed by an easy spin. After rolling back to the hotel to return bikes, lunch will be served. In keeping with the ambience of Andalusia, a siesta is never a bad idea but you can do whatever you want, you’re free to roam! Dinner is on your own. Your Turn to Guard the Kingdom finishes up with breakfast on the last day, then a shuttle to return guests to the Málaga airport. Scenery that’ll make you brake to take it all in, food destinations that’ll make you start pedaling again, and rides to brag about and remember for the rest of your life! 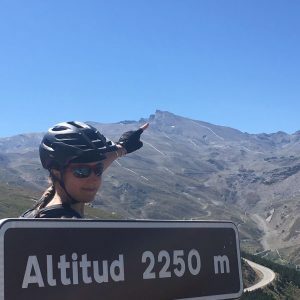 • Pre-trip coaching from our USA Cycling-certified coach, start your vacation early • bike rental (mountain bike or e-mtb) including helmet and water bottle • homemade snacks to fuel your rides • 5 nights in 4-star, bike-friendly accommodations • airport transfer to/from Málaga.